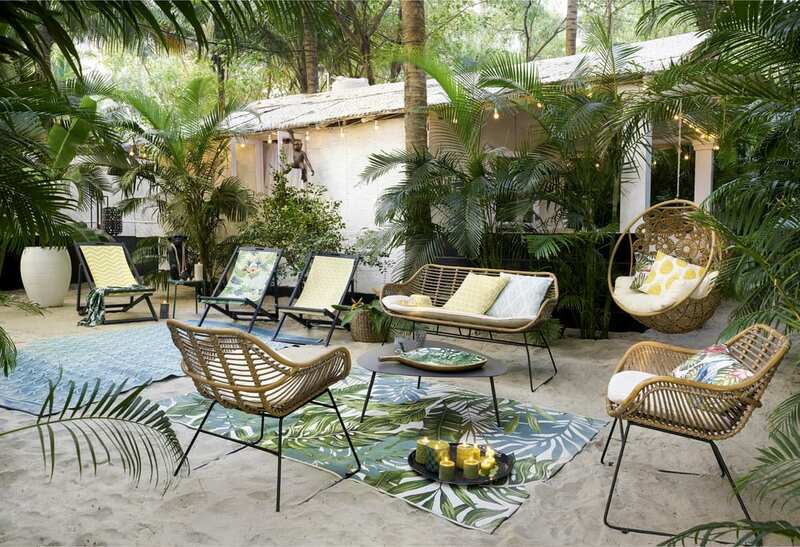 No need to look anywhere else if you want to add an exotic touch to your terrace! 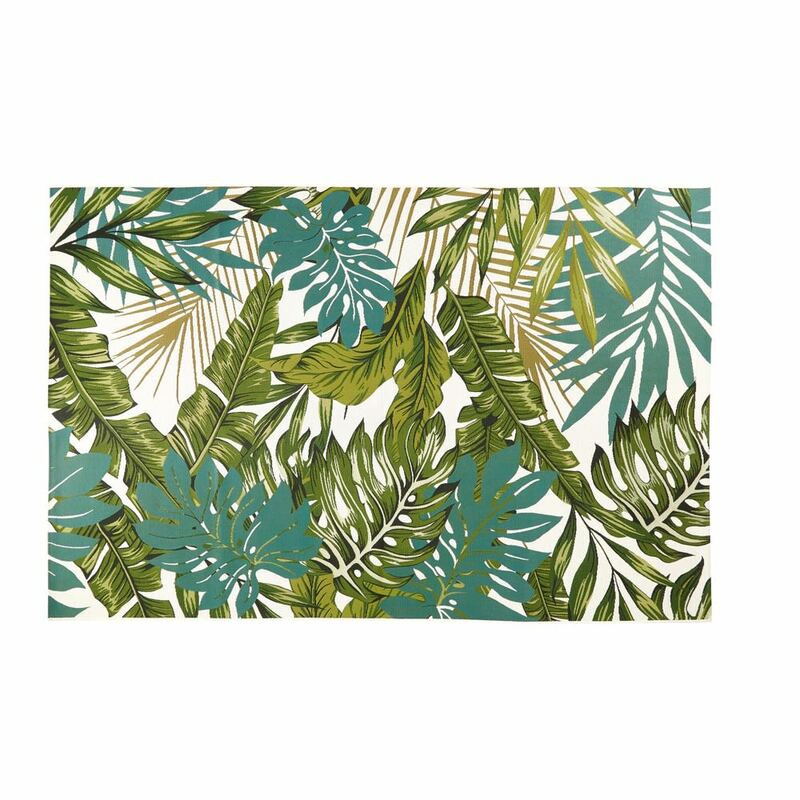 The 160x230 AMAZONIE outdoor rug with a tropical print is the essential element if you want to get off the beaten track design-wise. 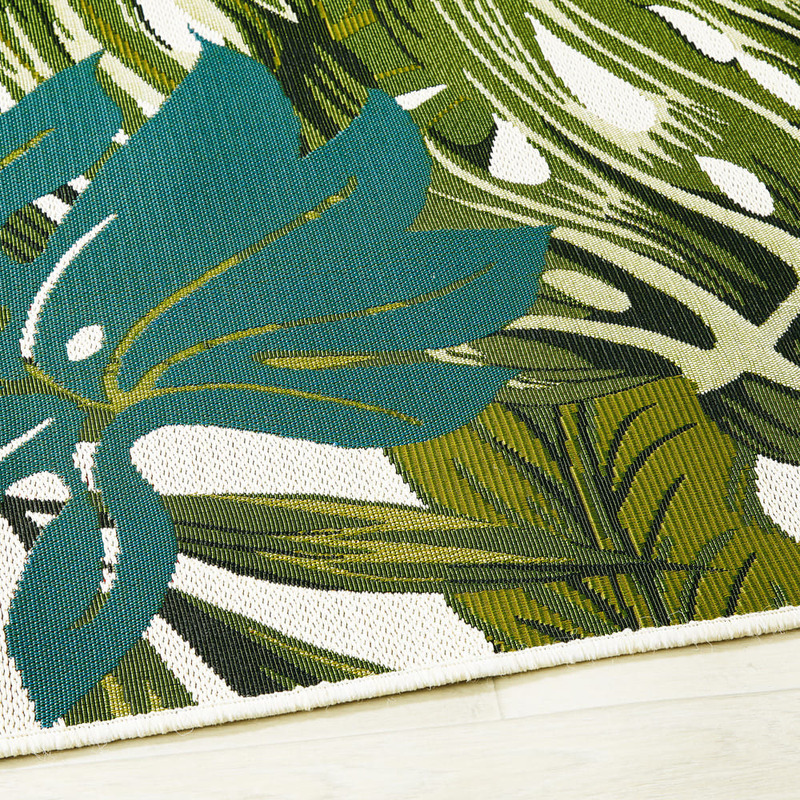 It will bring unique charm and warm the ambiance in an instant. 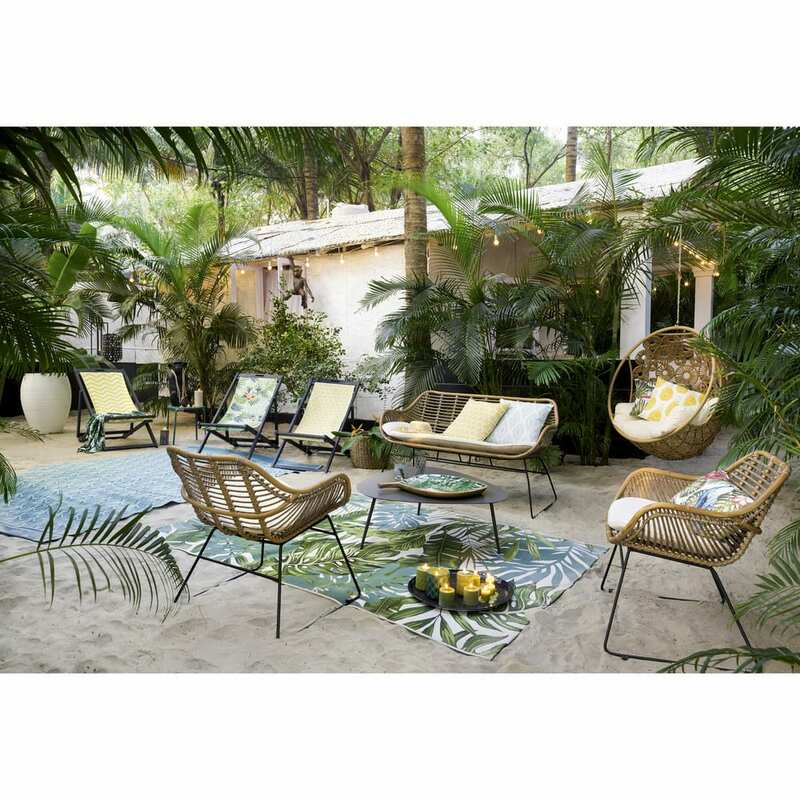 Our interior design tip: enhance this outdoor rug with some rattan furniture. Guaranteed to impress! Did you know...? Night-time conditions can change the colour of fabrics. To avoid any risk of discolouration, consider putting them away when it goes dark. During winter, keep your fabric items in a warm, dry place.